The Glacier 2-Tier takes our popular “Glacier” design and adds another tier of real European Fallow Deer antler as well as some Mule Deer antler woven in. 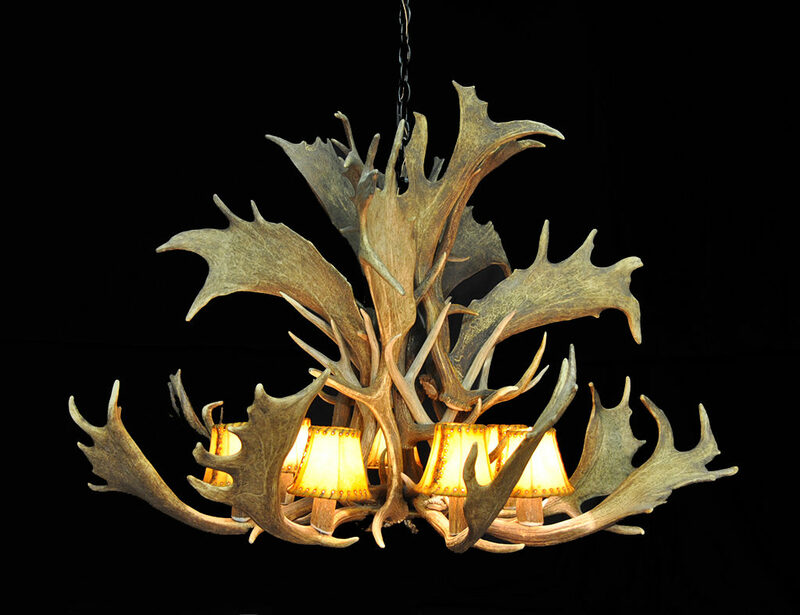 This exotic antler design is perfect for a large dining area, entry, or great room placement. European Fallow Deer naturally shed their antler each spring and live to be up to 20 years old.